Memories of laughter and tears and romance and beauty and details and absolute goofy nonsense are all part of what makes your wedding experience your own. You deserve to hold those close - not just in fading thoughts or in a dated Facebook gallery, but as incredible, tangible art you're excited to revisit and share for decades. Over the past ten years I've tested and visited with dozens of book binders, leather makers, and printers to provide the absolute pinnacle in quality for my story albums. 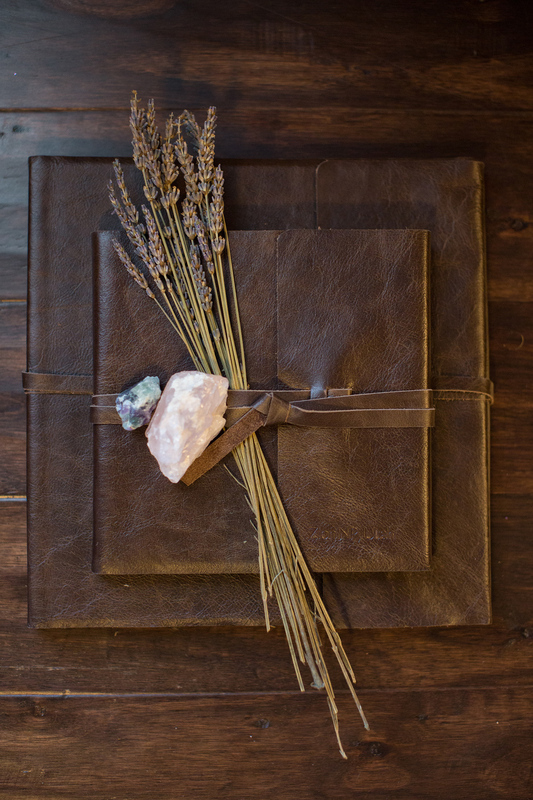 Since they are such a meaningful investment, all of my albums are designed completely from scratch - from the layout style to the leather/linen type to little details like personalized boxes and leather pressing. After your wedding we'll talk through what made your wedding day so memorable and what favorite images best captured those feelings. From there you will receive a rough draft design of the album, and will have up to three rounds of revisions to make any adjustments or exchanges. Every single image in the final design will be enhanced to print its best, then the spreads will be sent off to the printer. 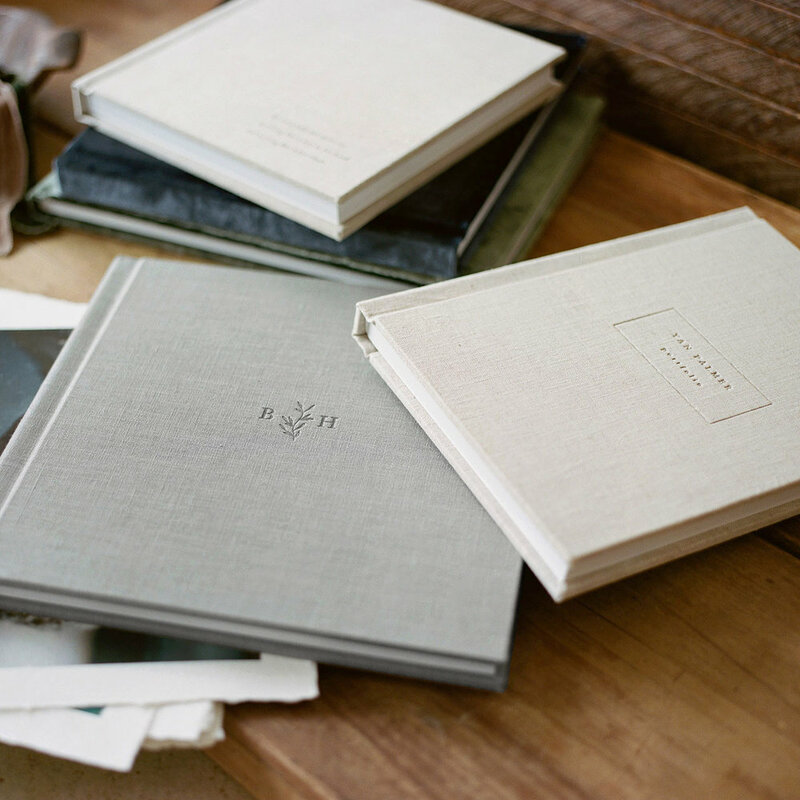 Every page is printed on top-quality, archival paper then bound into a flat-laying, flush-mount book before being wrapped in leather or linen. Each step of this process is crafted by hand in Italy or the USA. Once the production is completed, it is carefully wrapped up in its protective case and shipped directly to you, or we will meet for an unveiling in person (I'm a sucker and like watching the reactions, what can I say). 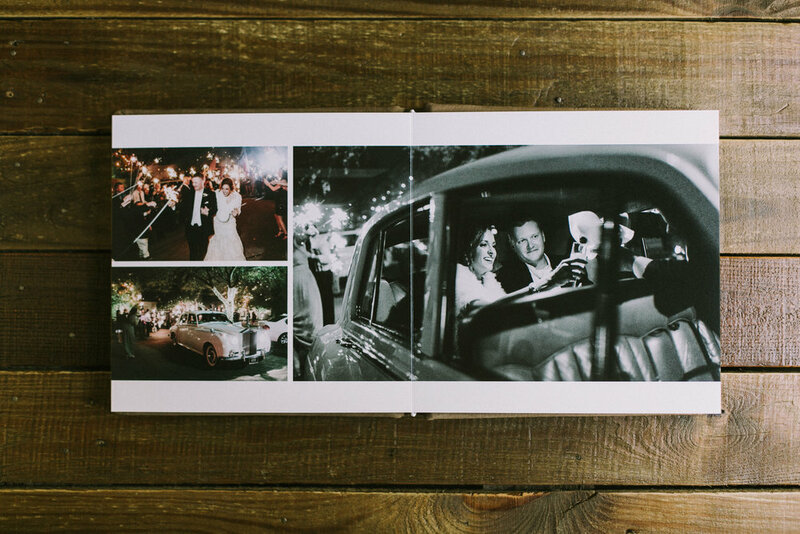 Custom album investments start at $1500, including 15 full spread designs (fitting up to 50 images), additional editing on all included images, three revisions, archival printing, binding, leather or linen wrapping, and shipment.